i need to determine the number of days between two calendar dates. I have create a 2 columns, the first Date 1 and the second Date 2. The date is chosen by clicking on the calendar. 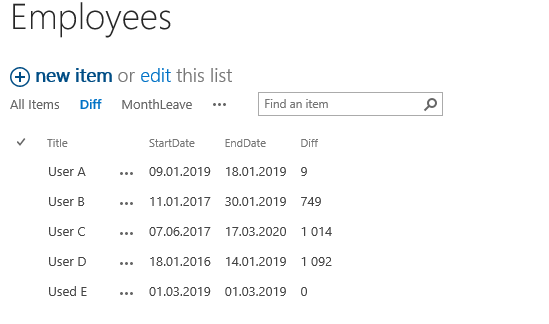 What i require is a third column call Date 3, that calculates in number of days the difference between Date 2 and Date 1 (Date3 = Date2 - Date1). The version of my SharePoint is 2007...please help !! Not the answer you're looking for? 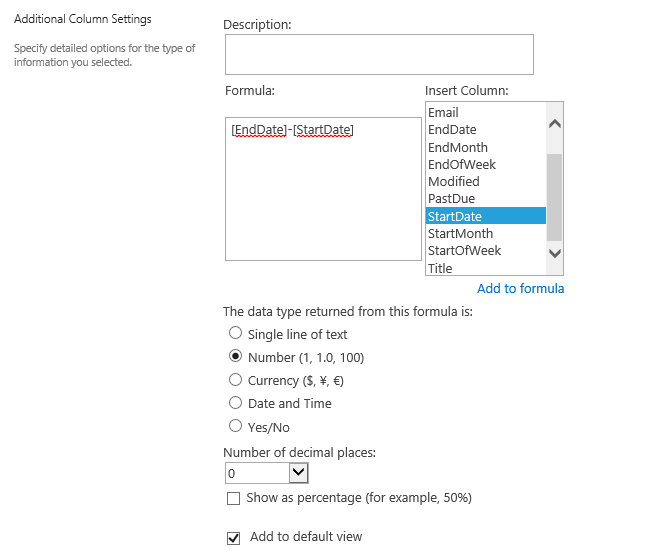 Browse other questions tagged sharepoint-server 2007 calculated-column date-time or ask your own question. How to calculate business days excluding Thursdays and Fridays given between two dates?